I’m Callum and I run A-Star Sports Dunbartonshire (East & West) and surrounding areas. I’ve been coaching children with A-Star Sports’ co-founder Kevin Key for many years and am passionate about children’s development through sport, from fundamental skills and confidence-building through to a positive and broad foundation from which children can start their ‘sport for life’ journey. Our local high energy team also runs regular action-packed kids holiday clubs in the summer (for children up to and including P5) and has the experience of hosting thousands of parties for local families. See below for a full list of classes and do let us know if we don’t currently run classes in your local area but you would like us to! Contact us directly at callum.pettigrew@a-starsports.co.uk or call us on 07871 094127 to enquire about available places or for party bookings. 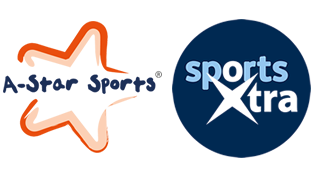 A-Star Sports is looking to start classes in West Dunbartonshire. We will be contacting your local schools, nurseries, youth clubs and toddler clubs to give them a taster session and help build our classes. If you are interested in classes or birthday parties in your area or if you know of an organisation who may be interested in a taster session please get in touch bellow.